Jim Morrison, Ray Manzarek, Robby Krieger and John Densmore. Welcome to the known, the unknown, and the in between. Welcome to The Doors Examined. The Doors remain one of the most influential and exciting bands in rock ‘n’ roll history, and The Doors Examined offers a unique, expressive insight into the history of the band, their influence on culture, and the group’s journey following the death of Jim Morrison in Paris in 1971. It starts at the beginning, on a Venice Beach rooftop, and takes the reader on an invigorating journey, from The Whisky a Go-Go to the Dinner Key Auditorium, The Ed Sullivan Show to Père Lachaise Cemetery. 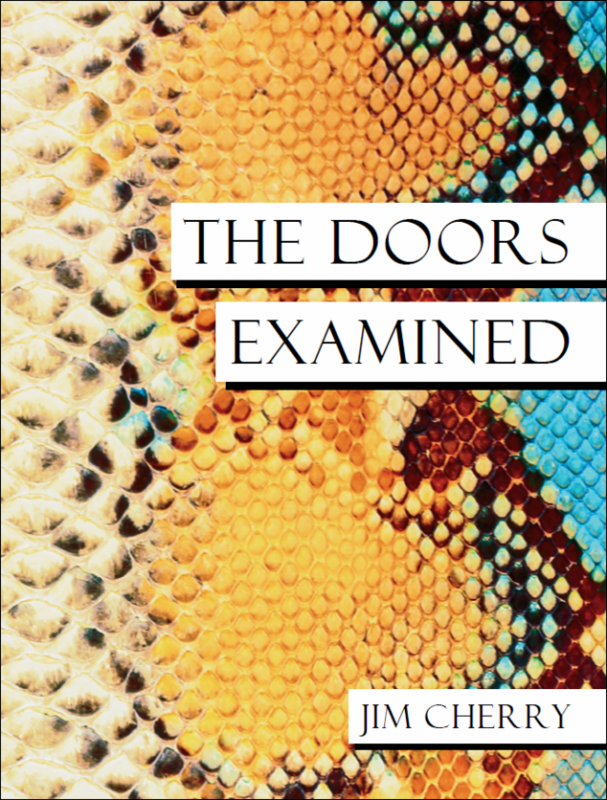 Comprised of selected acclaimed articles from The Doors Examiner, The Doors Examined also serves up original content that assesses seminal albums, how the group’s music has influenced other artists, and key people in the band’s history; people like Jac Holzman, Paul Rothchild, Bruce Botnick, and Pam Courson. The Doors Examined is a must read investigation into one of the greatest rock ‘n’ roll bands of all time.